Original Classification Authorities·are encouraged to publish Security Classification Guides (SCG) to facilitate a standardized a·nd efficient classification management program. 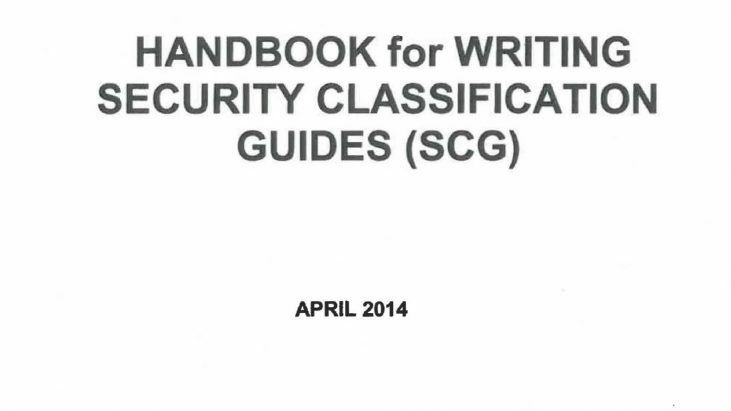 A SCG provides detailed classification guidance on program specific information for use by derivative classifiers in applying appropriate security classification markings. The SCG is an invaluable tool created and approved personally and in writing by an Original Classification Authority (OCA) and published to facilitate the proper and uniform derivative classification of information. It is used to communicate an OCA’s predetermined classification decisions on what elements of program-specific information should or should not be classified.